Currently singing - it's not admiring tone and emotional content of the poetic works of the transfer, possession overtones singing that allows the listener to discover something new in art. 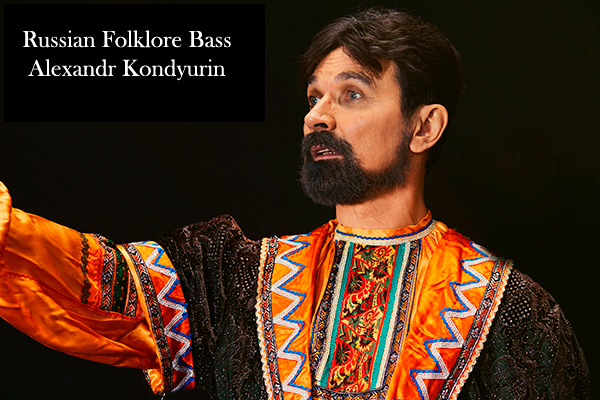 Go to this ideal and to strive Russian bass Alexander Kondyurin. 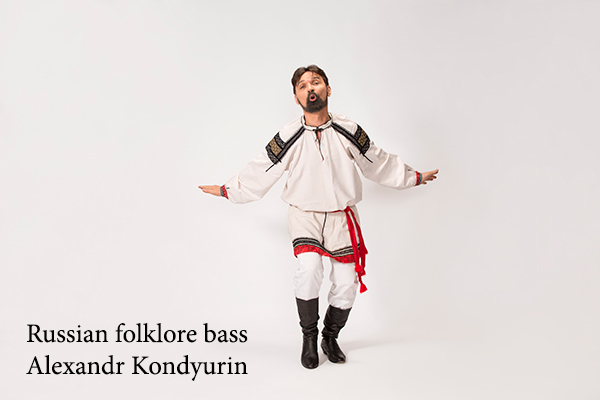 pop songs by Soviet composers. The song first. 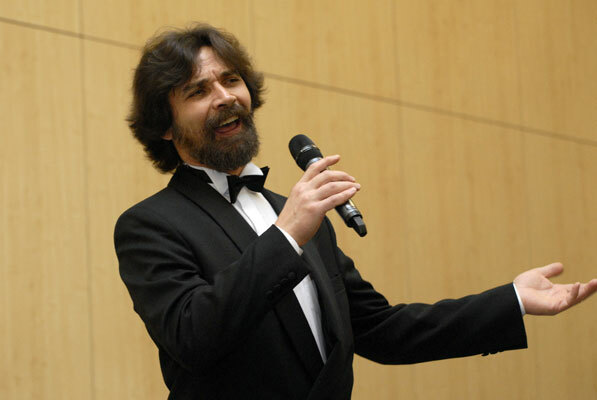 Poems Yuri Kuznetsov. The second song. Poems Olga Radziwill. Song third. Poems Olga Radziwill. 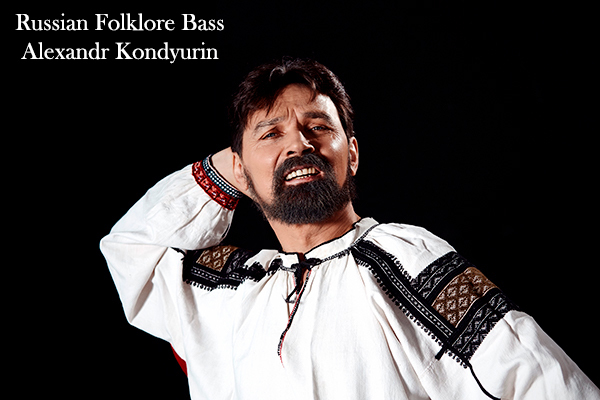 Performed: A.Sheludyakov - piano, bass, T.Smislova - vocals, A.Kondyurin - bass, tenor. As for the church... Poems A. Pushkin. Oh, come to you, brothers Cruz. And, oh by the meadow. Faded long ago chrysanthemums in the garden. Music by N. Charito, Lyrics V.Shumsky. Only once in my life is meeting. Music B.Fomin, Lyrics P.Herman. Coachman, do not drive horses. Music J. Feldman, Lyrics H.Ritter. Beauty Queen. music Babajanian A., poems Gorokhov A.
Melody music A.Pahmutova, poems Derbeneva L.
There is only an instant. music Zatsepin AG, poems Derbeneva L.
Friendship. music Sidorova, poems Smulyan A. Our neighbor. music and poetry Potemkin B. Song about bears. music Zatsepin AG, poems Derbeneva L.
The best city in the world. 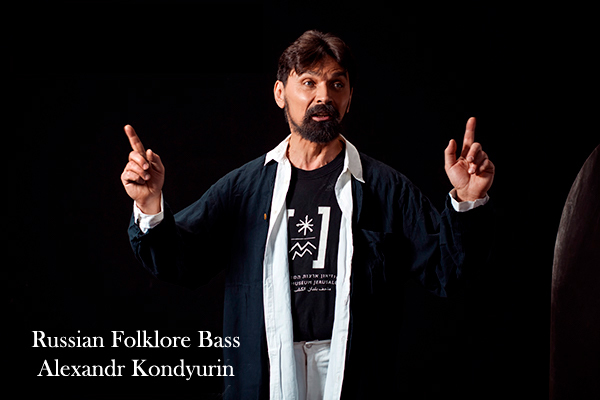 music Babajanian A., poems Derbeneva L.
Anniversary of Victory in World War II is devoted. Songs for Children. Sings Polina Zakharova.